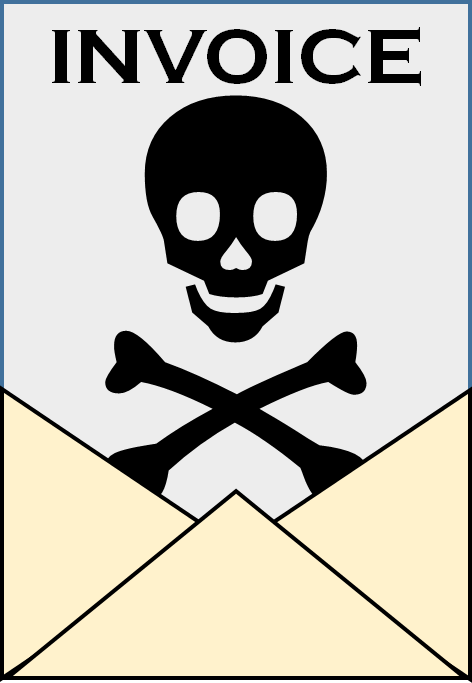 Dynamoo's Blog: Malware spam: "Your order #12345678" / "11 Money Way, Pittsburgh, PA 15226"
Malware spam: "Your order #12345678" / "11 Money Way, Pittsburgh, PA 15226"
This letter was sent to you as a formal notice that you are obligated to repay our company the sum of 2,760$ which was advanced to you from our company on October 16, 2015. Please, find the invoice enclosed down below. This amount must be repaid until the date of maturity to payment obligation, December 28, 2015 and you have failed to repay our company the same despite repeated requests for this payment. Thank you in advance for your prompt attention to this matter. We look forward to your remittance. If you have any questions, please do not hesitate to contact us. The sender's name is randomly-generated but is always female. Also random are the order number and value, and there is an attachment in the format invoice_12345678_scan.zip that matches the reference in the document. Inside that ZIP file is a uniquely generated .JS file in the format invoice_XXXXXX.js or invoice_copy_XXXXXX.js which is highly obfuscated (like this) and deobfuscates to something like this. I cannot get this to resolve at the moment, it turns out that the domain was only registered today. I think they started spamming before the domain records could be pushed out fully. Shame. Nameservers are DNS1.DONALDDUCKS.IN and DNS2.DONALDDUCKS.IN on 93.189.42.21 (NTCOM, Russia) and 178.33.200.177 (Dmitry Shestakov, Belize / OVH, France) respectively. Although I have not been able to acquire the payload, it is almost definitely Teslacrypt. Nameservers are DNS1.GOGODNS.RU and DNS2.GOGODNS.RU which are hosted on the same two IPs. Thanks for this, received this email 10 mins ago and had a feeling it was dodgy! Thanks! Received the same thing today. I think one of my favourite things about this is how it must have been translated from another language - a quick lookup of the address reveals that 'Money Way' doesn't exist, the road in question is in fact called 'Cash Way'. I got this almost exact same message on my email, and got scared for a sec I actually owned someone. Thankfully I did search this before actually opening the invoice, so thank you for uploading this! Hi All. I'm so stupid that I downloaded this zip file. And I could not open it because of unknown extension (.js). Is my computer inffected because of it? What should I do to check it ? Thank you in advance for your help. Malware spam: "12/16 A Invoice"
Malware spam: "Scanned image from MX-2600N"